I know it’s been a while since we have had a DIY Friday. But I was feeling extra crafty and wanted to make something fun for my house! So I made simple and easy gelli print pumpkin! 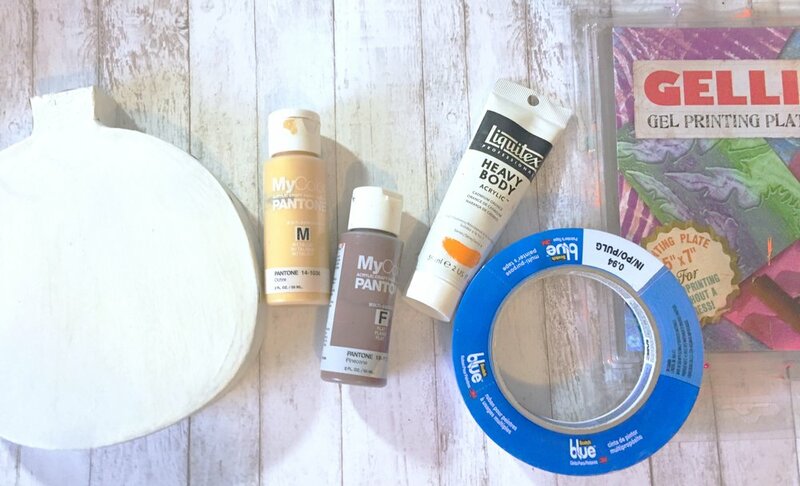 I put some gold and a little brown paint on my gelli plate and just marbled it a bit with an old credit card. I then turned over the gelli plate and used it like a stamp! After the paint was dry I used a sheet of paper to mark the middle of my pumpkin and began making stripes down my pumpkin with the tape. I’m not a perfectionist by any means so I just went for it and taped the other side doing my best to keep them even and straight! I painted it orange, as well as the sides, then pulled off the tape and decorated it! 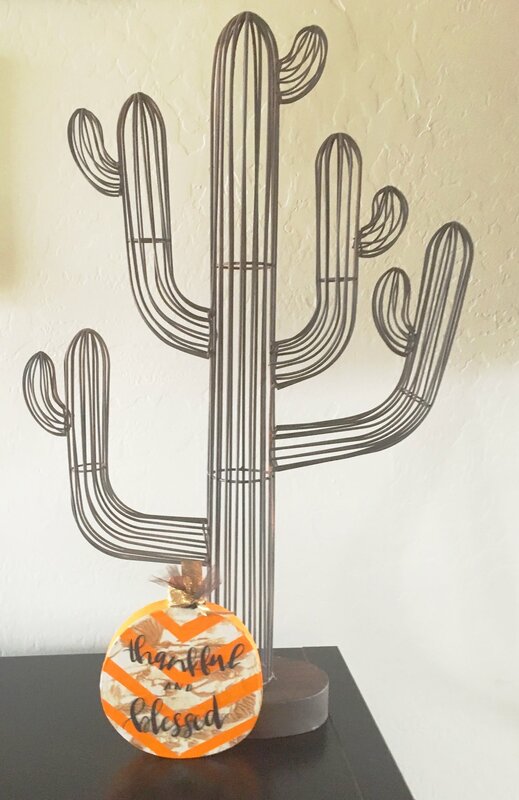 Being that I’m an Arizona girl I felt my fall pumpkin went well right next to my cactus lol! Well I hope you enjoyed my little fall project and try it for yourself!